Pebble Beach Resorts is the ideal playground for team activities designed for personal and learning development, icebreakers, team energizers and more. Our corporate team-building events are a great way to significantly help group members develop their ability to work effectively together, which can ultimately lead to boosting your company’s productivity levels and profitability. Participate in scheduled Pebble Beach Tournaments such as the notable TaylorMade Pebble Beach Invitational presented by DELL EMC or organize your very own private tournament. For more details, call the Tournament Office at (800) 877-8991. Students of the Academy receive instruction tailor-designed for their individual success through on-course management and coaching. Choose between individual or group instruction from world-renowned golf professionals. Pebble Beach Golf Academy also offers custom club-fitting and swing analysis. Our tennis facilities welcome both the serious player and the weekend enthusiast with enclosed courts, fully stocked pro shops and a staff of tennis professionals who can help you achieve your top level on the court. We offer a variety of fitness options for all levels and all goals in a friendly, fun setting. Choose from intense workout sessions or mindful yoga classes in a relaxed and non-pressured environment. Discover the beauty of the Monterey Peninsula through our Pebble Beach Equestrian Center. Ride to some of the most breathtaking spots on Earth and see the Pacific coastline and famed fairways, including Cypress Point and Spyglass Hill Golf Course. Explore the Peninsula and learn more about our beautiful area on a bicycle tour of the Monterey Bay coastline. Your guide will take you on the Recreation Trail along Cannery Row, past the Monterey Bay Aquarium and along the stunning Peninsula coastline. You will experience first-hand the historical Point Piños Lighthouse, Asilomar State Beach, 17-Mile Drive through Del Monte Forest and scenic Bird and Seal Rocks. For more information, please call Adventures By The Sea at (831) 372-1807. Located off the spectacular 17th green, Stillwater Cove earned its name from the beautiful calmness that most often characterizes its waters. 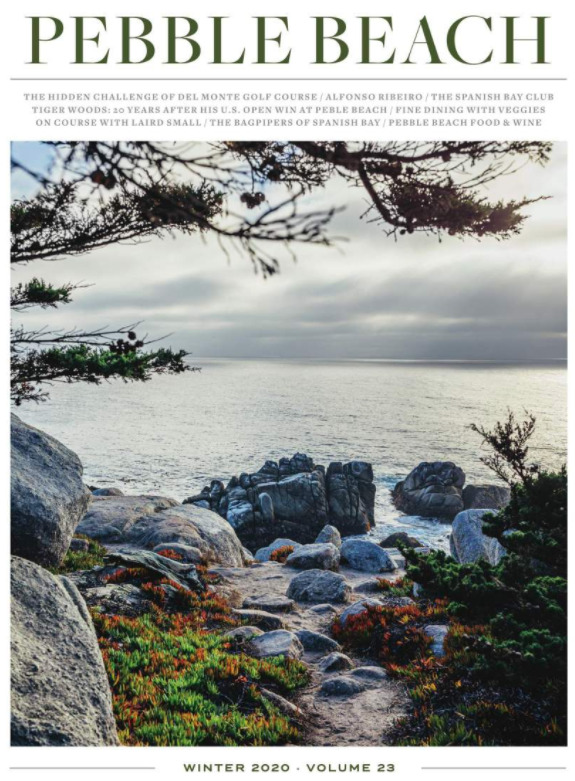 The views from the water are incredible and include not only world-famous The Lodge at Pebble Beach and Pebble Beach Golf Links, but Point Lobos and Carmel beach as well. Guides will accompany your group to share information and history of the area and wildlife during the two-hour ride in the Cove. Be entertained as our Chef creates a sumptuous lunch menu and our Sommelier explains the best wine to be paired with the meal. Recipe cards and tasting notes are provided and questions are encouraged. Lunch can be included at the conclusion of the cooking class. Our presentation begins with a brief tutorial on the history of cocktails; demonstration includes making three-to-four unique cocktails, discussing infusions and essentials for the home bar. Lunch follows with a menu paired with miniature versions of the cocktails made during the presentation. Your custom-blending party guests will receive an in-depth test analysis to determine a perfume style. They will then sniff various fragrances to create the ideal structure for their custom scent. The fragrance selected is hand blended and packaged for delivery to their homes. Are you wearing the best jewelry to flatter your skin tone, hair color and even your figure? International jewelry designer Jackie Jones will demonstrate how jewelry can transform your image. Learn how you can use jewelry to maximize your beauty—and your wardrobe. Become an artist! Learn how to cut glass and build your own unique piece of jewelry. Each class begins with the history of the craft followed by technique and design construction. Your designs will be delivered to your room the following morning! Meet Erica Tarpinian, the Floral and Event Design Manager for Pebble Beach Company, and learn trade secrets in creating unique and stylish designs for your dinner parties and home decor.